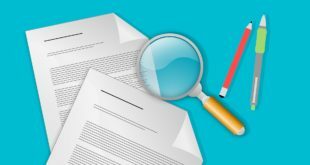 Home / Featured Articles / Got Obstructions? How to Get Them Before They Get You! I had a great dream the other night. We had just completed a flawless installation. We had coordinated every detail with the design team up front. The MEP foremen had worked with us every step of the way. The architectural and structural plans were impeccably accurate. The owners attended every meeting and never so much as shifted a wall or fixture. The inspector diligently searched for something out of place, but everything was perfect. What a dream! The fact is, most of this can be true and sprinkler contractors will still have challenges with obstructions. The best time to deal with obstructions to automatic fire sprinklers is before they happen. Few projects are designed with consideration given to the fire sprinkler system layout, so once the sprinkler contract is awarded, it is critical to solicit a “collision meeting” with the design team. A decent set of architectural, structural and MEP drawings can assist a designer in making good decisions as he or she lays out the systems, but often times, changes are made after the construction drawings are issued that may not find their way to the sprinkler designer. It is good practice to send an introductory email to the design team as soon as you are brought on board, asking for the most current set of drawings and to be copied on all future correspondence. Too often, bridging, bracing, lighting, duct work, cable trays, rain water leaders, plenums, radiant heaters, high-volume low-speed (HVLS) fans, soffits, ceiling clouds and other components are designed and positioned without regard to sprinklers. Obstructions are now categorized as “continuous” or “non-continuous.” Continuous obstructions affect the discharge pattern of two or more adjacent sprinklers, while non-continuous obstructions affect only a single sprinkler. Obstruction rules vary from hazard to hazard. It is important to understand that there is no one size fits all solution for dealing with obstructions. It is especially important that the sprinkler designer and/or project manager brief the installing foreman about potential obstruction challenges prior to installation. For the most part, there are four types of obstructions: Those we have to throw under, like soffits or I beams; Those that we have to throw over, like partition walls; Those we have to throw through (over and under), like open webbed Trusses and suspended fixtures; and Those that we have to throw past, like building columns. There are also requirements for minimum distances from obstructions to facilitate discharge pattern development. 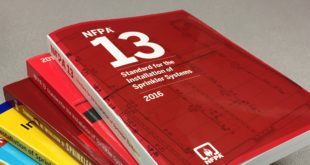 These and other obstruction related requirements can be found in NFPA 13, Standard for the Installation of Sprinkler Systems, 2013 edition, Sections 8.5.5 through 8.12.5. All references to NFPA 13 will be from the 2013 edition. Since it is not practical to examine each section in detail here, we will attempt to touch on some common principals to observe when dealing with obstructions. The rules are pretty straightforward. For obvious reasons light and ordinary hazard occupancies are more tolerant of obstructions than occupancies with more fire loading. NFPA 13 Section 8.6.5.2.1.4 allows us to ignore some obstructions in light and ordinary hazard occupancies. As stated, with some qualification in Annex A, non-structural objects are exempt from the three times rule. Make certain you completely understand this section of the code. The three times rule presumes that water can be expected to get on both sides of the obstruction. If this is not the case, this section does not apply. Remember, this only applies to light and ordinary hazard occupancies. Non-structural objects can be considered obstructions in extra hazard and high-pile storage occupancies. Objects that are less than 4-ft wide and greater than 18 in. below the sprinkler deflector in light and ordinary hazard occupancies can virtually be ignored. Solid objects that are less than 4-ft wide and less than 18 in. below the sprinkler deflector are allowed when the distance between the center of the object and the adjacent sprinklers is less than or equal to half of the allowable sprinkler spacing. Solid obstructions against a wall (soffits, cable trays or duct work) that are greater than 30-in. wide require sprinklers beneath them unless they comply with Table 8.6.5.1.2. (Figure 8.6.5.1.2 (a) is an illustration of this Table and commonly referred to as the “Beam Rule.”) Figures (b) and (c) of the same section provide other options and limitations for obstructions that are against a wall. They allow obstructions up to 30 in. and 24 in., respectively. The narrower obstruction allows the sprinkler to be further above the bottom than allowed by the beam rule. The three times rule for standard pendent and upright sprinklers requires that objects be located three times the width of the obstruction from the sprinkler up to a maximum of 24 in. For open web trusses, the bottom chord of the truss is typically the widest component. In some cases, the bottom chord may be taller than it is wide. The greater dimension should be used when determining how far away to locate the sprinkler. The measurement is pulled from the center of the sprinkler to the first point of contact with the obstruction. This can be measured horizontally or diagonally depending on the orientation. In some cases open web truss spacing is compressed for structural reasons and it is impossible to comply with the three times rule. NFPA 13, Sections 8.6.5.2.1.6 and .7 provide limited solutions for these configurations. The four times rule for Extended Coverage sprinklers (ECs) is applied using the same parameters as the three times rule, but the maximum clearance is 36 in. There are no exceptions given for tight truss spacing, so ECs may not be a practical option in some cases. Typically, ceiling fans are conveniently located exactly where you want to install the sprinkler, in the center of a room. The three times rules applies to the fan housing unit, but the blades need not comply provided the pattern is at least 50 percent open. Specific rules in NFPA 13 for suspended and floor-mounted obstructions, regardless of the type of sprinkler being used, are limited to Light Hazard occupancies. This allows a clearance below the sprinkler deflector of less than 18 in. suspended or floor-mounted obstructions in other hazard classifications must comply with obstruction requirements for the particular hazard and type of sprinkler. 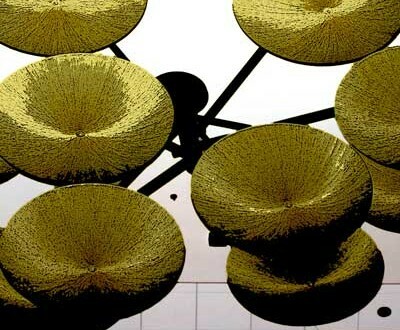 Sidewall sprinklers apply the same fundamental principles to obstructions as upright and pendent sprinklers, but the tables are modified because of their unique design and orientation. Discharge pattern development is still the key to maintaining performance. Pattern development is critical to the design and performance of all sprinklers. The closer an obstruction is to a sprinkler, the greater the impact on pattern development. To ensure adequate pattern development (see Figure A.8.5.5.1), a minimum of 18 in. should be maintained between the sprinkler deflector and top of storage for standard pendent and upright sprinklers. While 18 in. is adequate for most conventional and EC sprinklers, Control Mode Special Application (CMSA) and Early Suppression Fast Response (ESFR) sprinklers discharging greater volumes of water at higher pressures typically require a minimum of 36-in. clearance to ensure they develop the overlapping pattern critical to their design. CMSA sprinklers utilize the three times rule for obstructions that are 8 in. or less in width. Upright CMSA sprinklers can be installed directly on pipes up to 4-in. nominal diameter (2½ in. is the limit for conventional upright sprinklers). CMSA sprinklers are storage sprinklers therefore they have very strict requirements when it comes to the size and position of obstructions relative to the sprinkler and in some cases the storage array. NFPA 13 does not allow obstructions of any size in the area 1 ft to each side and 2 ft below a pendent ESFR sprinkler, period end of story. Extensive testing has been done to demonstrate that contact with even the smallest obstruction in this zone can cause significant disruption to the discharge pattern. The resulting fog is enough to cause skipping which led to failure in several of the tests. There are other nationally recognized standards that allow some obstructions in this area, but they are very specific and very limited. Be certain that the Authority Having Jurisdication (AHJ) will accept alternate standards. NFPA 13 Section 8.12.2.2.3 and .4 respectively do allow an adjustment to the strict spacing requirement for ESFR sprinkler to avoid obstructions. In buildings 30 ft or less in height ESFR sprinklers are allowed to be spaced up to 12 ft apart, so the designer has more flexibility in dealing with obstructions, full height walls or odd truss spacing. In builds greater than 30 ft in height, maximum spacing is limited to 10 ft. This was problematic for a number of years. NFPA responded by allowing the spacing to be increased to 11 ft and a maximum of 110 ft2 per sprinkler provided the sprinkler spacing on the adjacent branch lines do not exceed 100 ft2. There are other caveats so be certain to understand how to apply these sections. Another welcome exception to the distressingly rigid ESFR obstruction standards is the upright ESFR sprinkler. Check the cut sheet for the specific sprinkler you intend to use, but by and large, the upright ESFR sprinklers, as suggested in 8.12.5.3.2.1, can accommodate obstructions up to 4-in. wide. While not specifically addressed by NFPA 13 at this time, other standards do allow conditional use of ESFR upright sprinklers with ESFR pendent sprinklers in isolated instances where obstructions less than 4 in. cannot be avoided. Gaining in popularity in warehouses and distributions centers are High Volume Low Speed (HVLS) fans (some of you might know them by another name). Some guidance is provided in NFPA 13, A.8.12.5.2, but a failsafe approach is to locate the fan motor centered between four sprinklers. In some cases, the HVLS fans may be required to shut down upon water flow, so an early discussion about this can be beneficial. Request in writing early on that anything that needs to be supported from the roof be centered between sprinkler heads and/or sprinkler branch lines. In most cases, this will not cause any additional work for them and it will save you from being known as the whinny guy. This means that for conventional systems obstructions up to 4-ft wide will not require any additional coverage. For ESFR and CMSA the same applies for obstructions up to 2-ft wide. If the obstruction exceeds the 4 ft or 2 ft, respectively, they would require sprinklers below them no matter where they are located. If you wait to land pipe before you have these discussions, it will be too late. Since you were probably the last one to get your contract and you’re already behind, you most likely are not going to be landing material with the MEPs. You can however provide a rough layout showing your sprinkler heads and piping and get on everyone’s radar before all the good spots are taken. Your customers will appreciate a proactive approach to dealing with obstruction issues and when you do land pipe, your foreman will thank you for setting him up for success rather than the alternative. ABOUT THE AUTHOR: Jeff Rovegno is president of Mr. Sprinkler Fire Protection, Roseville, Calif., and has been in business for 25 years. 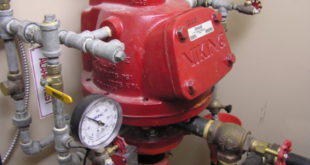 He represents AFSA on the NFPA 24, Standard for the Installation of Private Fire Service Mains and Their Appurtenances, and NFPA 291, Recommended Practice for Fire Flow Testing and Marking of Hydrants, committees. Next AFSA Recognizes Crawford Sprinkler Company of S.C.